An attractive and well-kept exterior is important if you want to sell your home at full market value. No potential home buyer wants to purchase a home with a long list of to do projects. As the premier agent for all your Springfarm Yorkhill real estate needs, I would like to offer you the following simple tips on how you can easily enhance the outward appearance of your house. Add some flowers to your newly landscaped yard or put some hanging baskets or planters on your front deck to welcome potential homebuyers. Upgrade or repaint your mailbox. Add or replace your welcome mat before your next open house. Add shutters to the exterior of your home. Shutters are an excellent way to break up a monotonous outside wall and will make your windows look bigger. Try to choose a colour that contrasts with your exterior to maximize the effect. Add, repaint or install some house numbers on your front gate. Upgrade or repaint your light fixtures. 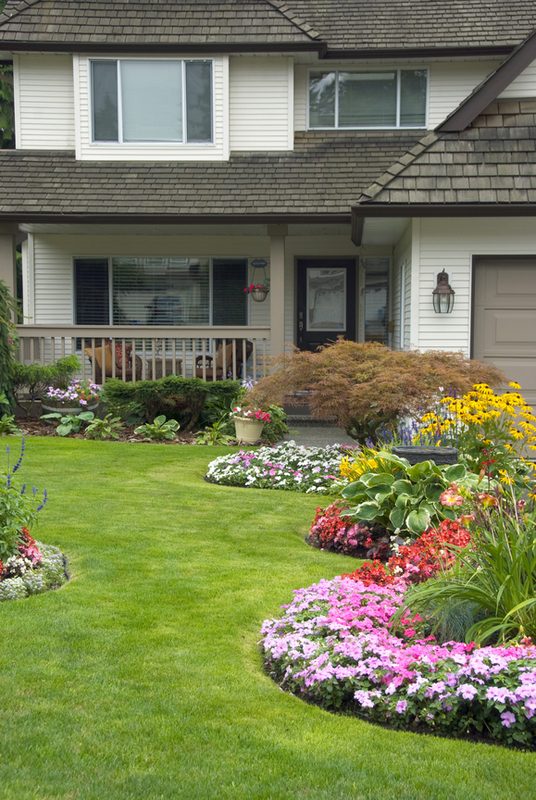 The most inexpensive way to add curb appeal is to spend a weekend cleaning up your yard and the exterior of your home. To effectively increase curb appeal, you are going to have to do more than mow the lawn, rake the leaves and sweep the front porch. Rent a power washer to spray down the exterior of your home, your driveways, fence and all other walkways. Be careful to not damage any caulking or your rooftop shingles. Weed and rake your lawn and trim all bushes, shrubs and trees in your yard. Re-caulk any damaged areas around windows or doors. Wash windows both inside and outside. A fresh coat of paint is a great way to greatly improve the look of your home. A newly painted home will make your home stand out in the market and will be appreciated by any potential buyer. If painting your home is not an option or not in your budget, there are other ways to increase your home’s curb appeal. Repaint your front door. Try adding some colour to your door. Paint the trim around your doors and windows and any other accent areas. These simple yet effective tips will add so much to your home. If you are interested in other ways to improve the exterior of your home or are thinking about listing your home on the Springfarm Yorkhill real estate market, please contact me today. I would love to be a part of your sales team. I look forward to working with you soon. A potential buyer called me to inquire about a townhouse I have listed for sale. The buyer, let’s call him Bob, explained that he was looking for a house to purchase as a small investment property and I proceeded to confirm how perfect this place would be for him because of its great location, proximity to his residence and it's already tenanted with good people who would love to stay. I made arrangements to meet Bob and show him the house the following day. After the viewing, Bob was happy with the house, with the info on the house that I had provided him and he was happy with the tenants so we sat down to discuss how to proceed. So far, so good. As we talked, Bob explained that he went over the numbers and asked me to prepare an offer. At one point, he also mentioned how he was financing the purchase. On my way to the office, I realized that this property may not be suitable for Bob after all. Once I got to the office, I looked up all the figures again and confirmed that, because of how Bob was planning to finance the purchase, he would be experiencing a very high negative cashflow on a monthly basis. I immediately called him and even though he claimed he went over all the figures, I went over them again with him. I then asked Bob if he could manage such a monthly outflow of cash. Bob replied that he couldn't afford it. And no other acceptable financing options were available to Bob at that time. We obviously didn't proceed with an offer, but I made sure Bob understood that I would look for something more suitable for him. He looked extremely relieved when I met with him again and I was actually happy that he didn't get himself in financial trouble. And this is how I un-sold a house! I take pride in my work. I like to feel like I've done my job (in this case, as a dual agent) when I exercised a duty of care to a "customer" even though the seller is my "client". I sold that house to a lovely couple a few days later and Bob became my client. Everyone was happy. If you are ready to purchase or sell a property, I can surely provide you with excellent representation to protect you at every step. So please feel free to contact me even if it’s only for advice, direction or suggestion. The spring real estate market is an excellent time to sell your home. Buyers are looking to take advantage of the added choices that are available on the market and eager to get back to house hunting after the winter. As the premier real estate agent for homes for sale in Springfarm-Yorkhill, I would like to offer you the following tips on how to properly stage your home for a Spring sale. Clean all windows, screens, curtains and blinds. Do a deep carpet clean to remove any stains or excess dirt. Power wash the outside of your home and all walkways to remove any dirt. Fresh flowers add a touch of class to any home. After a long winter, add a splash of colour and some fresh fragrance at your next open house. Display fresh flowers in multiple rooms throughout your home to wow interested homebuyers. Throws and pillows – think about adding some spring colours. Bedspreads and sheets – try to go with lighter, airier colours rather than dark ones. This is not only refreshing, but lighter colours will also open the room. Add candles – try to find scented candles that offer a fresh but not overpowering smell. The added light and hint of fragrance will make any room in your home feel more like spring. A nice mix of apples in the fruit bowl (red and green) can give another splash of colours and provide another added touch of freshness to your home. Take advantage of the longer days and warmer temperatures when staging your home. Open your windows and even your doors to let in the cool spring air. An open door is a welcoming sign for any potential homebuyer and the fresh air will make your home that much more appealing. These staging tips will have your home ready for the Spring real estate market in no time. If you are interested in other great ways to stage your home or are thinking about listing your home, please contact me today. I would love to help you get full market value for your home. I look forward to being a part of your sales team soon. The spring housing market offers buyers an excellent selection of homes. However, with these extra choices comes added competition. As the premier real estate agent for homes for sale in Springfarm-Yorkhill, I would like to offer these tips on how you can take advantage of the spring real estate market and find your dream home. The amount you will be approved for. This will give you a number figure for your down payment as well as the maximum price range for your home. Know what you are looking for in a home before starting your search. The spring real estate market can be overwhelming, and the possibilities may seem endless - by knowing what you are looking for in a home, you will save time and be able to narrow your search down. Sometimes the location and neighbourhood are more important than the actual features of a house. Do your homework before venturing into the spring market. The competition in the spring real estate market will leave you with little time to make a final decision on your dream home. You will want to put in an offer as soon as possible once you find your home. What you will want to avoid is a bidding war or another interested buyer putting in an offer before you. It is important to not get too caught up in finding deals in the spring real estate market. 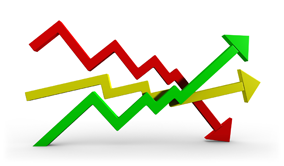 The added competition will probably mean that you will pay full market value for your home. Ask your agent to compare the home’s asking price with other comparable sales in the neighbourhood or area to see what the home’s actual value is. If you have found that perfect home, try not to worry about paying a few thousand dollars more for it. Over the course of your mortgage, that extra money will be almost irrelevant. The key to finding your dream home in Springfarm-Yorkhill’s spring real estate market is preparation. By being pre-approved and knowing what you are looking for, you should be able to find a home that suits all your needs in no time. If you are interested in the exciting real estate options that abound in Springfarm-Yorkhill’s real estate market, please contact me today. I look forward to working with you soon. Buying a home in need of some TLC can be a great way to save money in today’s housing market. A fixer-upper can either be a diamond in the rough and a great purchase or it can be nothing but a headache. As the premier real estate agent for homes for sale in Springfarm Yorkhill, I would like to offer these tips to ensure that your fixer-upper is a sound investment that you can enjoy for years to come. The neighbourhood that you are considering buying in can be a determining factor on whether your fixer-upper offers good value. A run-down house in a good neighbourhood is always a good investment, but that same house in a run-down neighbourhood is not such a good purchase. Before making any final decisions, spend some time in the neighbourhood to see if it is right for you. Sometimes the best value can be found in up and coming or developing neighbourhoods. Talk with your real estate agent about some of these less known neighbourhoods in your community. Springfarm Yorkhill is an excellent neighbourhood to buy a fixer upper if you can find one. The home’s electrical and plumbing systems. The exterior, including the roof as well as the downspouts and gutters. A home inspector may not be able to tell you the structural integrity of the home. To gain a better understanding of any damage it is recommended that you hire a general contractor. Replacing or adding baseboards and trim. 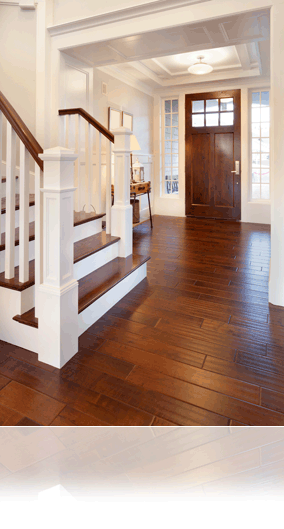 Refinishing floors or laying tile, carpet or laminate flooring. Replacing bathroom subfloors, toilets and sinks. Damage to the foundation of a home due to water or soil erosion. 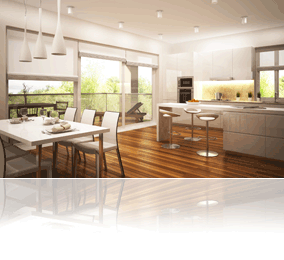 Full kitchen or bathroom renovations. Removing interior walls to open up spaces or expand rooms. Building a garage or adding an addition. These tips will help you decide if this type of home is a good investment or just a never-ending list of problems. If you are interested in other tips that will aid in your decision, determine the value of a fixer-upper or would like to see some of the new and exciting homes that are available in the Springfarm Yorkhill area, please contact me today. I look forward to seeing you soon. Increase your passive earning and be the proud owner of this updated townhouse for sale in Toronto. Beautifully kept and featuring 2 bedrooms plus den (or 3 bedrooms), 2 bathrooms, and a split-level floor plan, it offers you (or your tenants) the privacy and space you need. Set in the highly sought-after Don Mills neighborhood where people love to live, this townhouse is just walking distance away from shopping options, grocery stores, famous neighborhood landmarks, and prominent businesses. This winning townhouse for sale in Toronto ON can be yours for $675,000. Call me, Sol Kahane at 416-576-6656 to schedule a showing today. Any successful open house begins far before you welcome your first visitor. The amount of legwork and advertising that you do prior to the actual open house will greatly determine how successful your open house is. The more advertising you do and the variety of mediums that you use, the more interested buyers you will attract to your open house. Social media – use Facebook and even Twitter to create hype around your open house. Online – advertise on a variety of real estate websites and include important dates on your real estate profile. Are you seeking to expand your real estate portfolio? This townhouse for sale near The Shops At Don Mills in Toronto could be the one for you. Or perhaps you are moving to our area next year and want to close on a property prior to your move. This way, you can also benefit from the rental income from this property. This property currently has tenants who are on a lease. You will need to honor the lease. But imagine how this will benefit you knowing you will have a home you can move into when the tenants vacate the property. Set in one of Toronto's most popular neighborhoods, this 2 bedroom plus den (or 3 bedrooms), 2 bathroom townhouse offers a rare opportunity to acquire a great investment in an excellent location. Though just minutes away from shops and restaurants lilke Jack Astor's, Fabrica, Bier Markt, Chipotle and Aroma Espresso, to name a few, this townhouse is surrounded by mature trees and shrubs, giving it an idyllic suburban appeal. Recently renovated, this townhouse in Toronto offers the comfort, privacy, and space you are seeking in a modern home. This is the lowest priced house in the Banbury-Don Mills area. Priced below market price, this townhouse offers you a great deal. When you’re looking forward to financial freedom and increasing your passive income, being the owner of this townhouse can be your first step towards that dream. This property has good tenants who pay a handsome amount for monthly rent, so you have a sure source of income. Located right in the heart of Don Mills, you are just steps away from amenities and conveniences, making this townhouse ideal. Step inside a charming living room graced with neutrally toned walls and nice laminate floors, best for relaxing and welcoming visitors. To the right side is the dining room which overlooks the living room. To the left of the foyer is an ample-sized kitchen which features a refrigerator, stove and dishwasher. Ready for your needs, all you have to do is bring your food and utensils. Between the dining room and kitchen are a few steps to go up and down. The living room is bright and welcoming, thanks to its large picture window looking out to the backyard. Across the living area is a den which you can convert into a third bedroom and a washroom. The den features a sliding door that opens to the backyard patio. Experience privacy and serenity in the outdoor living area of this Toronto townhouse. This patio provides the ultimate rest and entertainment spot. On days where you have great weather, you can simply hang out and relax on this patio. Furnish it with some outdoor chairs and a patio umbrella and you already have a wonderful backyard retreat. Bring your outdoor grill! This patio is a great spot for barbecue parties. Fenced for security and privacy, this backyard haven delivers the peace and quiet you are looking for. This townhouse is easy to love. You get a carport, and the park is just a few steps away. On top of all its amazing features, this townhouse is within walking distance to The Shops At Don Mills, a very popular shopping and restaurant/bar area. Don Mills is a highly sought-after neighborhood. People love living here. There are plenty of shopping options, along with some famous neighborhood landmarks and buildings of several prominent businesses. This winning townhouse for sale in Toronto offers the comfort, convenience, and space you need for $675,000. Call me, Sol Kahane at 416-576-6656 and schedule a showing to see this fantastic townhouse. A strong online portfolio is a must if you are selling your home. In today’s real estate world, most home buyers use listing sites to narrow down their home choice. Part of an eye-catching online listing is the use of strong visual photographs that fully showcase and represent the selling features of your home. 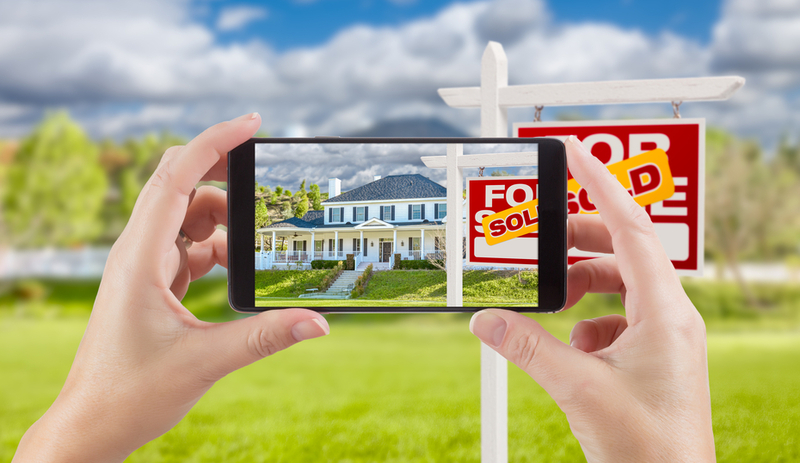 As the premier real estate agent for homes for sale in Thornhill, I would like to share the following tips on taking the perfect home listing photographs. Finding the right real estate agent is the most important part of any successful sale. Not only does the right agent have the connections and knowledge of finding the right buyers for your property, they also understand the importance of the newest online trends. The right agent will understand how to capture each room in your house and how to best represent your home through photographs. Work with your agent to build the strongest and most eye-catching online listing portfolio possible. Not only will it help you sell your home faster, the right portfolio will also attract the right type of homebuyer. Turn off all other light sources such as lamps and lights. This type of light will give an orange look to your photos, whereas natural light will give you more of a cool crisp blue colour. Try to take pictures early in the morning or in the late afternoon. During these times, the light is softer and will not wash out other parts of your photograph. Never take pictures into the light, but rather with the light at your back. Taking photographs into sources of natural light will only blur or wash out the picture. 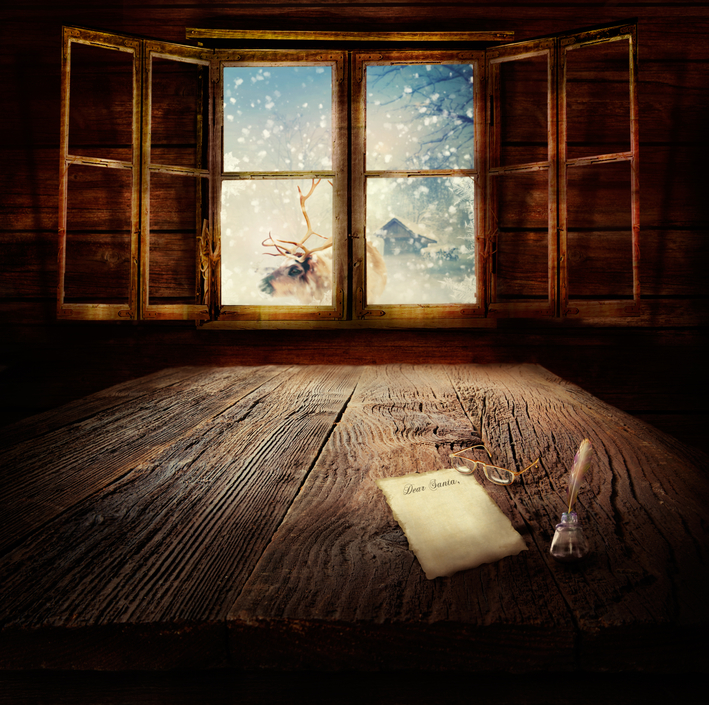 If you do want to photograph windows as well as the room, it is best to represent these features in two separate pictures to avoid shadows or too bright or dark of an image. Using the right lens is another important part of getting the perfect shots. A wide-angled lens makes any room look bigger. This is what you should be aiming for when taking listing photographs. Unfortunately, your phone does not have this option, but you can purchase an attachable lens that will give your phone wide-angle capabilities. These simple guidelines will give you the perfect home photographs and make your online listing portfolio more attractive to a wide range of homebuyers. If you are interested in other listing photography tips or would like to see some of the new and exciting homes for sale in Thornhill, please contact me today. I look forward to working with you soon. If you have been thinking about selling your home, but have been putting it off because of costly renovations, no more need to worry. As the premier agent for homes for sale in Thornhill, I would like to offer the following easy and inexpensive upgrades that you can do that will attract buyers and sell your home. One of the most important things that you can do as a seller is open all your rooms to showcase the open space and true square footage. Do this by moving your furniture to the walls and even storing or moving furniture or clutter to open the room. Buyers want to envision their belongings and lifestyle in your space, so stage your house appropriately. Remove all scuffs and scrapes from your walls and do any touch ups if necessary. Mow your lawn and make sure that it is free of debris. If you are listing your home in the winter, shovel the driveway and have all walkways free of ice and compact snow. Turn on all of the lights in your home and replace any burnt out bulbs. 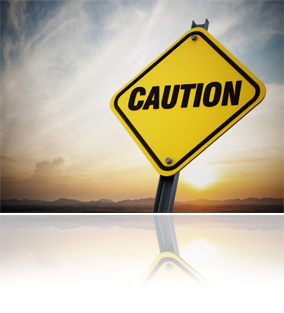 You do not want a prospective buyer thinking that your home may have electrical issues. Oil the hinges, doors and drawers in your home, to quiet any squeaking. Also ensure that no doors or drawers are sticking or do not properly open or close. Another easy update that will make your home more attractive to a buyer is cleaning or replacing any broken or bent blinds. You don’t want your home to come across as a fixer upper or a do-it-yourself project, so make sure that your blinds and window dressings are in perfect working order. Pay specific attention to knotted cords or broken or loose wands. Clear the entrance way and front steps of any debris or clutter. Ensure that your doorbell is in fine working order. Take the time to polish or clean the knocker and mailbox. These simple and inexpensive upgrades should turn that for sale sign into a sold one in no time. 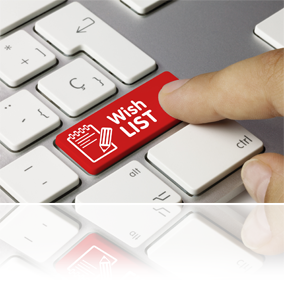 If you would like a list of other easy upgrades or are interested in listing your home on the Thornhill real estate market, please contact me today. I would love to be a part of your sales team. I look forward to working with you soon. A crackling fireplace is an excellent way to keep yourself warm this winter. Regardless of whether you have a wood burning fireplace or a gas one, proper maintenance is an important step for efficiency as well as safety. As the premier real estate agent for homes for sale in Thornhill, here are some tips on how to get your fireplace ready for the winter. Wood heat is a great way to either heat your home or supplement your heating bill and enjoy the ambiance of a fire on a cold winter evening. Before lighting your first fire, ensure that you have cleaned your chimney. Make sure to hire a professional as they have the proper equipment, understand the entire procedure and will ensure that a thorough job has been done. It is so important to remove the creosote buildup in your chimney yearly to prevent chimney fires or a clogged chimney. Vacuum or sweep the ashes from the bottom of your stove or fireplace. Removing ashes will allow you to enjoy a hotter fire. Check all doors to make sure they freely open and close and that they seal properly. Inspect the damper to ensure that it opens and closes easily. A properly maintained fireplace or wood stove will not only provide an excellent source of heat, it will also keep you and your family safe this winter. Gas fireplaces are quickly becoming the preferred source of additional heat in many homes in Thornhill. They are efficient and, in many ways, a more convenient alternative to wood burning fireplaces. However, annual maintenance and inspection is crucial to ensure all components are working properly and the gas fireplace is safe. Book a qualified technician to inspect the ignition system and pilot light. Have your damper and venting system as well as all connections thoroughly looked at for any leaks and for secure connections. Vacuuming out the firebox to clear any cobwebs or other debris that may clog the gas ports. Checking the doors and other connections for a proper seal and proper operation. Cleaning the logs in the fireplace to remove any dust or other flammable materials. If you smell gas or notice a leak or poor connection turn the fireplace off immediately and call a professional technician to diagnose and correct the problem. 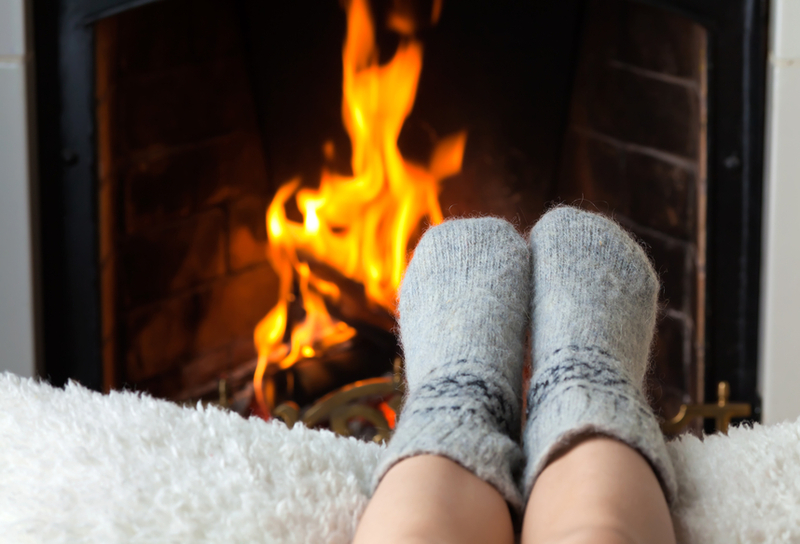 Regardless of whether you own a gas or wood burning fireplace, this additional source of heat is a great way to keep the cold away this winter. Make sure that your fireplace is up for the challenge by following these helpful tips. If you would like more information about fireplace maintenance or are interested in some of the new and exciting real estate options that are available in Thornhill, please contact me today. This year, why not try something new and set a few New Year resolutions for your home? These home goals will transform your home into a greener, more efficient and cleaner living space. 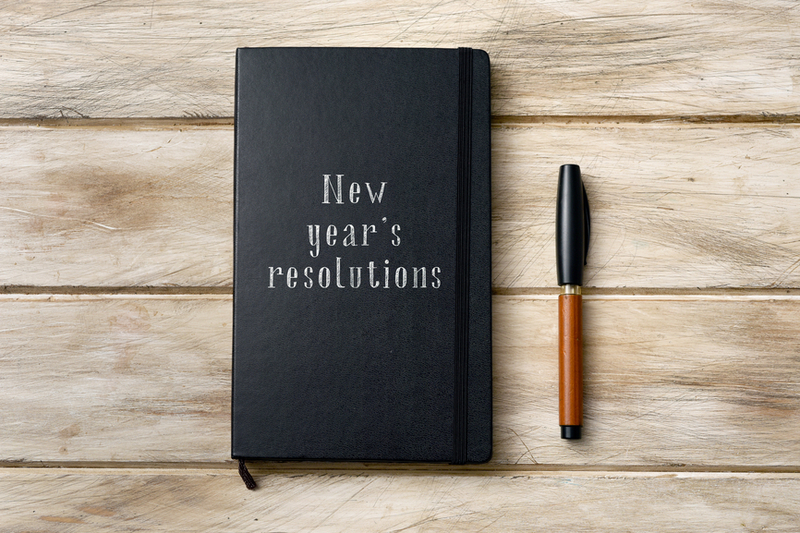 As the premier real estate agent for homes for sale in Thornhill, I would like to share the following possible New Year’s resolutions for your home. A daily schedule for tasks such as washing and drying the dishes, hanging up jackets and putting dirty clothes in the hamper. A weekly schedule for chores such as taking out the recycling and garbage, laundry, cleaning up rooms and vacuuming. When creating a schedule, make sure to include the whole family and designate chores to each member, so that they can help and be a part of this New Year resolution. Turn off the lights in any room that you are not using. Turn down your hot water tank by a few degrees. You will not even notice the temperature difference and at the same time reduce your overall heating bill. Turn down the heat in your home at night or when you are not home. This simple task will help you save money and reduce the amount of energy you consume. Over many years you can accumulate a lot of things. This New Year take the time to streamline each room in your house. If you have outgrown or no longer need an item, make sure to move it out of your home. Don’t just put that item into storage or move it from one area of the house to another. This resolution will not only greatly reduce the amount of clutter in your home, it will also allow you to be better organized and if done properly will give you more space. These resolutions will have your home in tip-top shape in no time at all. If you would like some other New Year’s resolution ideas or are interested in some of the new and exciting real estate opportunities that abound in Thornhill, please contact me today. I look forward to hearing from you soon. Sometimes your dream house needs just a few changes or added touches to become your dream home. 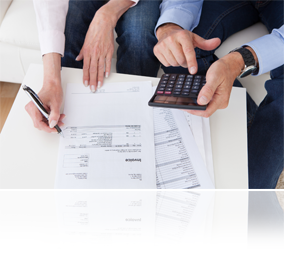 Unfortunately, these changes can add up and quickly put you over your original budget. As the premier real estate agent for homes for sale in Thornhill, I would like to offer you these tips on how you can cut your renovation costs and stick to your original home budget. 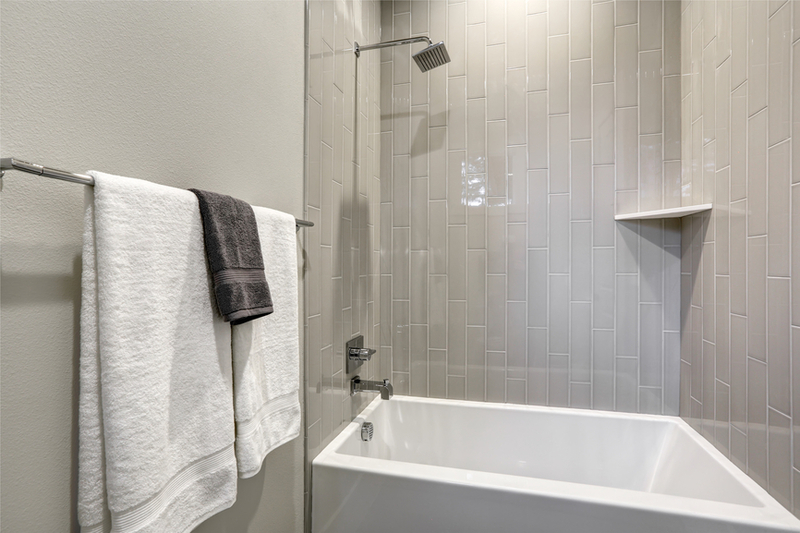 One of the most common renovations is a full scale bathroom renovation. It is quite easy to get carried away with this type of renovation and quite often, the entire floor plan of the bathroom is part of the overall vision. Unfortunately, a new floor plan not only comes with a huge cost attached to it, but reconfiguring the plumbing can also lead to unwanted problems such as leaks or space issues. If a bathroom renovation is a must for your new home, I suggest that you change everything, but the original floor plan. Go ahead and replace the toilet, sink and tub, but make sure to leave the plumbing where it is – this will not only save you money, it may also save you many headaches. The costs associated with each renovation item can quickly snowball out of control. Look to save money wherever possible and try to avoid name brand items or products as they are often overpriced. If you can find a similar product at a lesser cost, consider using it – granite or marble kitchen countertops can be swapped out for other quality products. Spend on items or features that are going to be major focal points such as a tiled kitchen backsplash or a piece of wall art. Items such as cabinets, cupboards and drawers should be of a high quality as they are going to undergo a lot of use over the years. Changing the lighting. 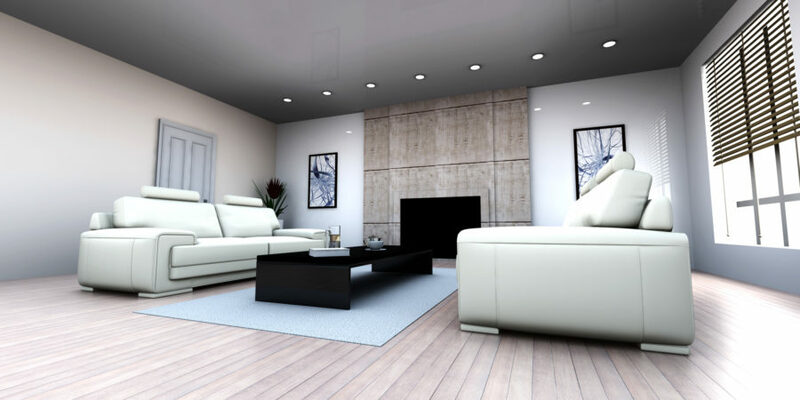 You may be surprised at the difference lighting can make, especially if your goal was to try to make the room larger. A fresh coat of paint. Hire an interior designer and allow them to show you some different colour patterns and schemes. This may help transform your room. Repaint the trim of your bedroom doors, and other doors in your home. These renovation tips will save you money and help you stay within your household budget. If you would like any other renovation cost saving measures or are interested in some of the new and exciting real estate options that abound in Thornhill, please contact me today. I look forward to seeing you soon. That special time of year is upon us once again. That’s right, it is time to get out and celebrate the holiday season in Thornhill. With so much to choose from and an already busy schedule, it may be hard to decide on what holiday events are right for you. As the premier real estate agent for homes for sale in Thornhill, I would like to suggest the following can’t miss holiday celebrations in the Thornhill area. Celebrate the beginning of the holiday season with Markham’s Festival of Lights. Make sure to be part of the festivities and come out to enjoy live music, a fire show, fireworks, a tree lighting and a special guest appearance by Santa himself. With close to 100 floats, this year’s parade promises to be the best ever. Come join in the fun, celebrate the holiday spirit and catch a glimpse of Santa all in one fabulous day. We hope to see you there. Get an early start to all your holiday shopping at the Unionville Christmas Market. From Christmas décor to unique, one-of-a-kind gifts and crafts, there is something for everyone. Make sure to stop by and support your local vendors this holiday season. Kick off the festive season with a unique Christmas celebration in Unionville. With over 40 floats, live entertainment and festive characters, the candlelight parade is sure to get you ready for the holidays. After the parade, be sure to visit Santa and join in on the tree lighting ceremony at the Millennium Bandstand. This year, show your spirit of giving and join in on Toy Drive 2018. Donate a new, unwrapped toy for children (newborn – 18 years of age) at the following Vaughan locations. City Hall (after Dec. 10). During the holidays, Vellore Hall will be magically transformed into a wonderland filled with sparkling lights, local vendors and Christmas performances. With live Christmas music, a free photo booth with Santa and festive vendors and local food trucks, this free outdoor holiday market is a great way to get the family out for some good old fashioned Christmas fun. Come and experience the excitement and magic as Vaughan’s outdoor Christmas tree comes to life. There will be live festive music and holiday goodies to help kick off this holiday tradition. These holiday celebrations are just another reason as to why Thornhill is such a special place to call home. If you would like more information about any of these events or are interested in some of the new and exciting real estate opportunities in Thornhill, please contact me today. I look forward to hearing from you soon.